When you think of an enchilada, what comes to mind? More than likely, you think of a flour tortilla wrapped tightly around some sort of delicious filling and covered in a spicy sauce. And for the most part, that’s what an enchilada is. However, different areas of the world tend to have different ideas about what constitutes a proper enchilada. For example, you’re going to get two different dishes if you order authentic Mexican enchiladas and Latin American or Tex-Mex enchiladas. So, what are the differences between the three? Let’s take a look at enchiladas around the world! For starters, when you order an authentic Mexican enchilada, it’s going to be wrapped in a corn tortilla—not a flour one. Furthermore, the tortillas are generally dipped in the sauce and then fried to make them nice and crispy before they’re stuffed with a yummy filling. One common filling you’ll find in Mexican enchiladas is Mexican queso fresco, but you can also get them filled with meats, such as chicken or steak. Usually, Mexican enchiladas are topped a little more simply than what you might be used to as well; rather than smothering them in enchilada sauce, they’re usually topped with some sour cream chopped tomato, lettuce, and green onion. Let’s move over from Mexico to the countries of Latin America. If you were to order some enchiladas here, you might actually confuse your waiter. That’s because the term “enchilada” isn’t generally used there, but they do have a similar dish that is essentially the same as a Mexican enchilada, with the main difference being that they’re served up in rolled-up puff pastry dough, rather than a corn tortilla. In some Latin American countries, they’ll even use whole wheat pasta to create the shell around the enchilada filling. It’s very rare for traditional corn or flour tortillas to be used here. The puff pastry is stuffed with meat and can be topped with enchilada sauce or some other version, such as a spicy pepper sauce. The funny thing about this is that in Mexico, this would be known as an empanada. In America, we have a version of enchiladas that have been Americanized; these are Tex-Mex enchiladas, and they’re quite different from what you’d expect with a traditional Mexican enchilada or even a Latin American enchilada. Specifically, Tex-Mex enchiladas tend to use flour tortillas. And in many cases, there’s actually no meat involved. Instead, they’re usually stuffed with cheese—and then topped with more cheese! The tortillas themselves usually aren’t fried; instead, they’re simply heated up in a skillet to crisp them up a little. Tex-Mex enchiladas are also typically smothered in enchilada sauce, though they may also be topped with some fresh ingredients such as olives, chopped tomatoes, green onion, and the like. This is just a sampling of what enchilada dishes tend to look like in different areas of the world. Isn’t it interesting to see how our perception of a dish we love can be so different across the border? 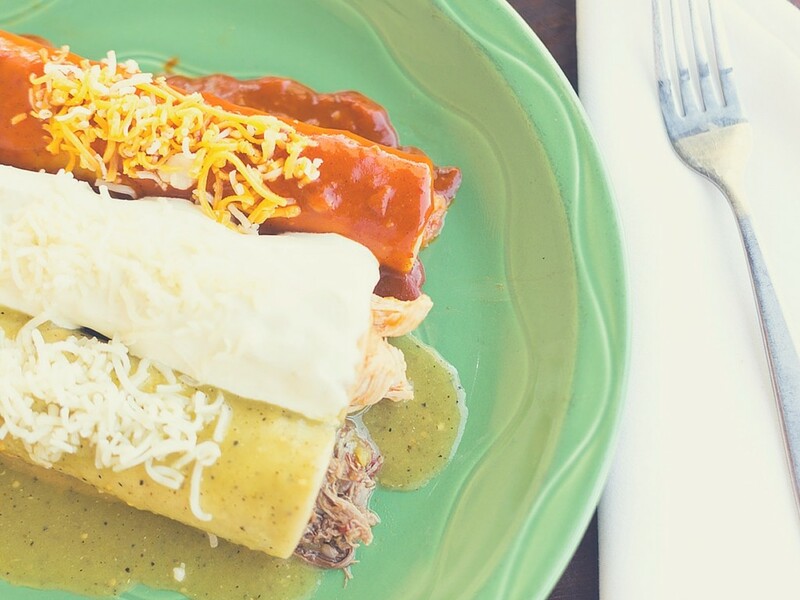 If you’re like us, you’re probably craving some enchiladas right about now!